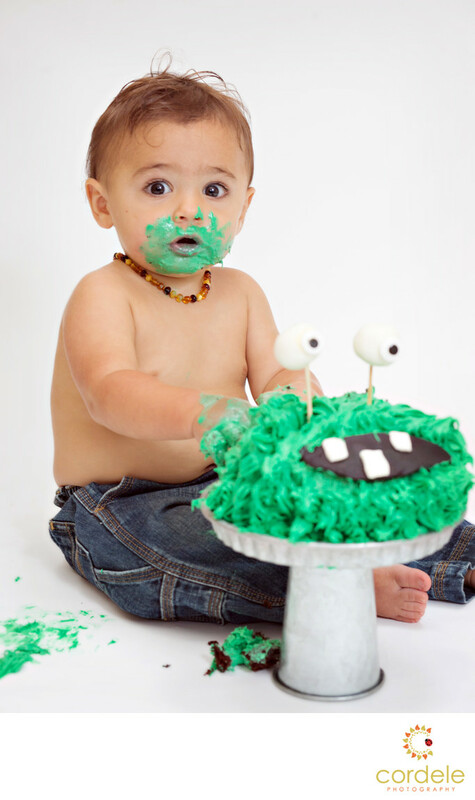 A photographer who takes First Birthday Cake Smash Photos in North Reading is easy to come by. You have found one! This is a photo of a baby in North Reading who loved the frosting of the cake. The mom made this cake herself. Located about 15 minutes North of Boston, North Reading and Reading is easy to get to. Who does love a baby covered in frosting to celebrate their first birthday. We aren't sure where cake smash traditions came from. We love it and hope you do too!